It's true he's recovering from a recent stroke. But as you can see, spirits were high as Forry held his 86th birthday at the China Inn in Glendale, California, with many of his closest friends in attendance. That includes famed writer Ray Bradbury, who was on hand to toast a friendship that started before the rocket age. 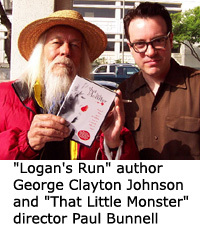 Five-O got the report from director Paul Bunnell, whose horror film "That Little Monster," newly released on DVD fyi, includes a cameo appearance from Forry  one of the 106 cameos Ackerman has done since falling in love with fantastic cinema in the 1920's. Forry was born and raised in Hollywood. He is locally revered for being the world's foremost authority on monsters, mummies and spacemen. 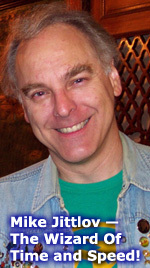 He is a self-appointed ambassador between the worlds of Hollywood, sci-fi publishing, and his own monster fanzine empire. Forry has seen every single movie in his field for over 70 years. 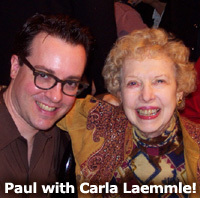 As a kid he was pen pals with Carl Laemmle, founder of Universal and master of its golden age of horror. Later Ackerman was Ray Bradbury's first writer's agent. 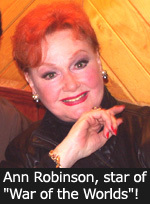 L. Ron Hubbard was another client. 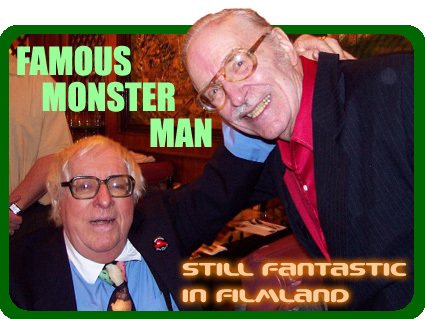 While Hubbard founded Dianetics and Scientology, Forry founded "Famous Monsters of Filmland" magazine. In 1958 Ackerman coined the term "sci-fi" and invented the character Vampirella. Not so very long ago, he was consulted by monster-fan Michael Jackson for advice on the "Thriller" video, directed by birthday well-wisher John Landis. More than all that, for decades the evergreen genre-enthusiast has been known from Echo Park to Malibu as the inspired storyteller who "gives free tours of his stuff" every Saturday morning. Doesn't sound so hot? It does if your stuff includes the Robot Girl from Fritz Lang's "Metropolis," Bela Lugosi's Dracula cape, sound disks from the original "Frankenstein," a bewildering array of vibrant 1950's oil paintings featuring dinosaurs attacking space troopers, and at one time, a master library containing troves of stills, posters, on-set snap-shots and 50,000 books representing the finest and rarest imaginative writing of the space age. Basically, his dojo is heaven for anyone in a band or from Silverlake. In his dwelling is a shrine to the Unholy 7, the most influential men in Famous Monsterdom: Karloff, Lugosi, Lon Chaney Jr., Tor Johnson, Glenn Strange, Vincent Price and Peter Lorre. There are dinos, fantastic art and monster heads galore. 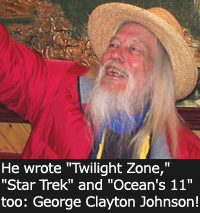 He still has the first awarded Hugo trophy, which he received at the first World Science Fiction Convention fifty years ago. You'll also come face to face with the stilt-walking Martian invasion pod from George Pal's landmark movie "War of the Worlds" (1953). 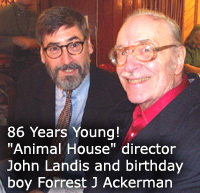 Last summer Forry relocated to a "Mini-Ackermansion" nearby the original in historic Los Feliz. His once-mighty memorabilia collection (at its peak worth a sum in the millions) has been dismantled to pay healthcare costs and a costly lawsuit with a former business partner. These misfortunes have meant the end for what was once the greatest single collection in its field, one that the owner was dedicated to sharing with people who feel the same enthusiasm and curiosity he does. The quest to convince the city of Los Angeles or a private entity to accept the collection as a gift and convert it into a museum has been a painful, difficult failure. "We live in a stupid world," Ray Bradbury said earlier this year, adding that he pleaded with Rocketdyne to accept stewardship of inspirational material uniquely suited to the company's vocation. Rocketdyne declined the author's plea. "They didn't believe in the future," said Ray. In a related story, recent tests suggest that the corporation poisoned well water across the Antelope Valley with carcinogenic perchlorates. In any case, Forry's enthusiasm is undimmed. His positive attitude has been tested more seriously than this in the past. About a decade ago he lost his wife of 50 years when the couple was robbed while on vacation overseas. He still speaks of her devotedly. When you track down the Acker mini-mansion for a Saturday tour, no doubt Forry will answer the door wearing Bela Lugosi's oversized hypno-ring, used to hilarious effect in the Universal horror-spoof classic "Abbot & Costello Meet Frankenstein." Even though his toys are excellent, it's Forry himself who is the main attraction  his encyclopedic recall, his irrepressible sociability, his soliciting of impromptu co-stars from his tour groups for ritualistic recreations of scenes from movies like "The Invisible Man." He's a people-pleaser. Unlike the dominant stereotype of a sci-fi fan, Ackerman is socially expansive, unironic and blessedly unafraid to be corny. Old School New Wave, a pretty good match. It's all in character for a fellow who lives by the motto, "Save humanity with science and sanity."